Garage Door Remote LM 373P must be one of the coolest remotes I have ever seen. It has the slickest modern design, can open multiple doors (up to three) and is the only garage door remote, that automatically lights up, every time you bring your hands nearby. That means no more searching for remote in the dark and pressing the wrong buttons in the dark. LM 373P have built-in motion detection, that lights up the brilliant blue light so that you know exactly where remote is every single time. Remote also have “sleep” mode to conserve battery power when not in use. Like most of LiftMaster remotes, 373P have security+ ® rolling code technology that reassurance you safe use. 373P is compatible with LiftMaster 3000 series and all 315 Mhz LiftMaster and Elite gate openers. Your garage door or gate openers also need to have purple learning button or your original remote control need to have glowing blue lights. Is 373p hard to program? If you want to see how 373P looks like and how to programming is done, take a look at the video below. The guy on the video is not me, but he will show you how is done. OK, by now you should realize how cool this remote is. But just in case, let’s take another look at 373P remote function. It’s compatible with all LiftMaster 3000 series and 315 Mhz LiftMaster and Elite gate openers. Comes in a slick and stylish design with leather-like grip. Build in “sleep” mode for longer battery life. Battery included. Motion detection feature, that lights up every time you put your hands nearby. So what are you waiting for? 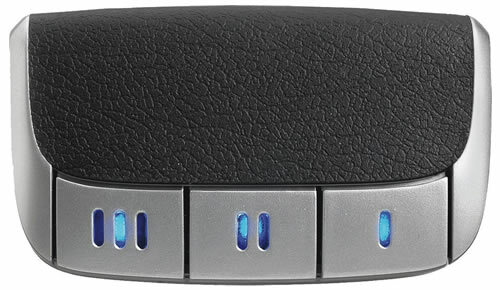 Get your Garage Door Remote 373P HERE!